A typical bathroom is about 40 square feet, which is big enough to accommodate a standard bathtub, sink, and toilet. At least 10 more square feet are needed if a standalone shower is included. Most North American houses built before 1980 had bathrooms that were 40 square feet or less. Using a pocket door instead of a swinging door. More recently built houses have larger bathrooms and more bathrooms than older homes. A typical 2,000-square-foot home will have a large master bathroom, a smaller second bathroom, and a powder room, for a total of two and a half bathrooms. What Are Some Bathroom Remodel Ideas? What Are Some Remedies for a Clogged Bathroom Sink? 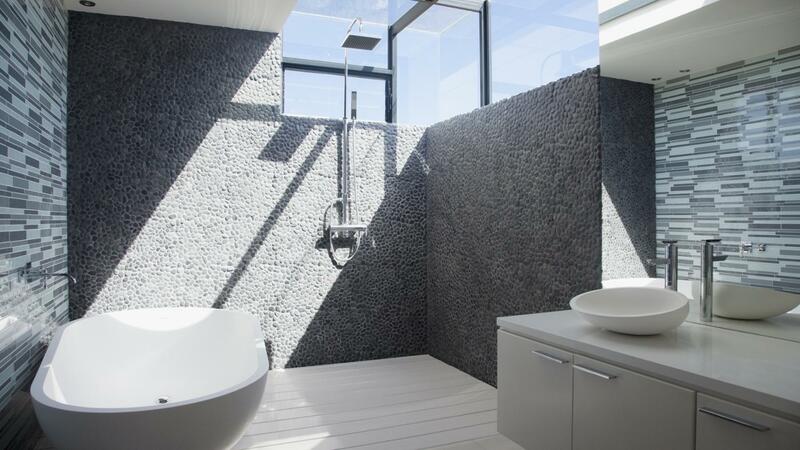 What Are Some Modern Bathroom Design Ideas? What Rooms Are Included in Most House Plans With 500 Square Feet?